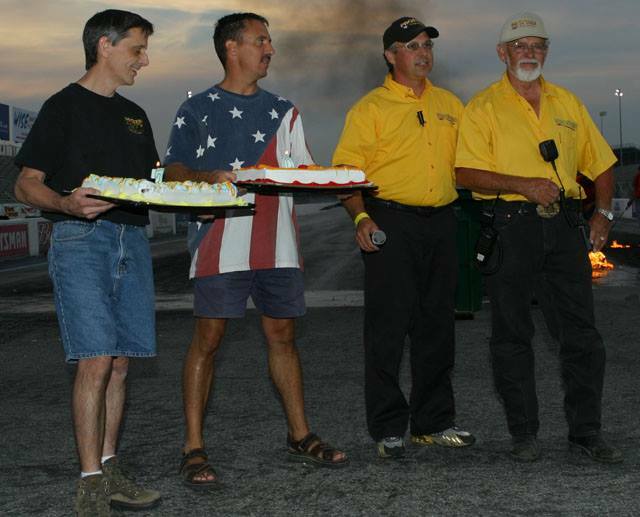 Cycledrag.com is deeply saddened to learn of the passing of Jim Kizer, father of AMA Prostar founder Keith “Scooter” Kizer. 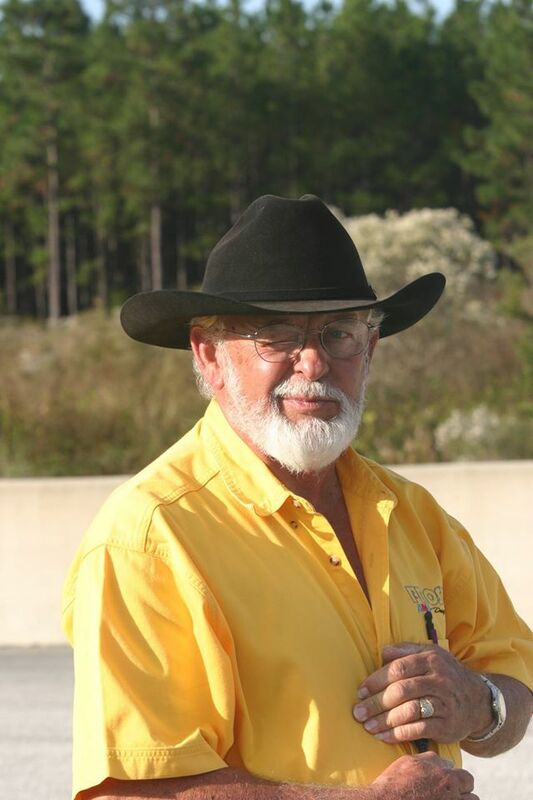 Jim Kizer was a fixture at AMA Prostar events, assisting his son in many capacities. 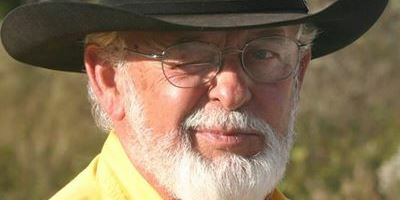 He was known for his friendly, laid back, gentlemanly, Southern demeanor. He was beloved by the racers. Jim Kizer donning his signature cowboy hat sending a friendly wink. “I’m not here for the races. I’m here for the people,” Kizer said. The message was clear. As a “motorhead” who raised a family passionate about motorcycles and speed, the man had seen enough racing in his lifetime, but could never get his fill of conversation and fellowship from his friends and family at the track. Jim loved the racers and the racers loved him. Donning his signature cowboy hat and driving his custom Mule, Jim couldn’t get very far when passing through the pits due to all friends who wanted him to stop and talk. Jim Kizer and his sons, Terry, Charlie and Scooter. Working on the top-end of the track, Jim would often be the first to break the news to a racer that they had just made a stellar run, or in the case of Top Fuel Motorcycle Five Second Club members, Larry “Spiderman” McBride, Jimmy Brantley and others, they just achieved a major milestone. He was also there to ensure everyone was safe. Many felt at ease with Kizer’s watchful eye intently observing. Jim was a great man. He will be missed dearly. Cycledrag.com sends its sincere thoughts and prayers to the Kizer family. sorry to hear this..Debra keeping the family in prayers.. The Kizer family became our family years ago..Jim is an awesome family man..He will be missed tremendously..Heaven got another Angel..We pray for peace and comfort for his wife Irene and all of his family..We love you all…God is Good.. Thanks for telling that story Jack. That was my dad! As he would tell it he had 3 kids at home and a thousand on race weekends. Jim was such a great guy and I have so many great memories with him . He was our Dad for four days once a month several months a year. He would come by our pits in the evening to make sure we were behaving and also to spend some quality time with us. He was always firm and stern about the rules in the pits and soft and warm as a friend and mentor. Jack is so right about his enthusiasm at the top end……I will always remember the Saturday in Virginia when I made what I felt was a smooth easy pass and Jim came roaring up in his mule. I was still rolling into the shut down area and he was yelling with happiness ” you just ran a 7.02 , joe it was a 02 ” I hit the brakes and got a high five and a hug from my race weekend Dad . What a memory ! Mr.Kiser was such a nice guy to all of us with the Fire and Ice race team. I could always find time to listen to one of Jims storys. We will all miss him so much. God speed, Mr.Jim, and thanks.